Proceeds from the boys' basketball game to benefit two campus families affected by cancer. 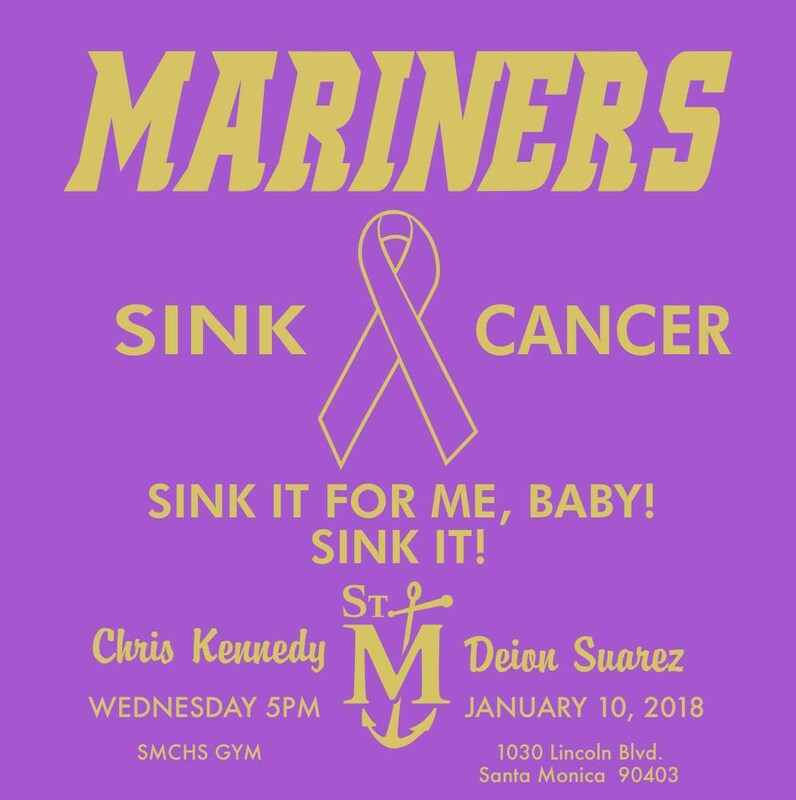 The St. Monica Catholic High School community will gather on Wednesday, January 10, in support of two of its families battling cancer. 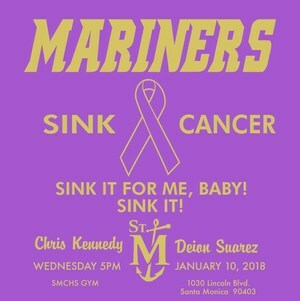 The "Sink Cancer" night will center around the Mariners boys' basketball game against Bellarmine-Jefferson High School in the Mortensen Athletic Center at 5:00 p.m.
For $10, fans will receive a game ticket and Sink Cancer t-shirt (while supplies last) with proceeds going to the families of faculty member Chris Kennedy and staff member Nazira Suarez, whose son Deion is battling cancer. The festivities begin at 3:00 p.m. on campus with music and food available for purchase.